Dr. Andrew Simpson is a Louisiana native, born in New Orleans. He received his Bachelor of Science degree from LSU in Baton Rouge and earned his Doctor of Dental Surgery (DDS) degree from the LSU Health Sciences Center School of Dentistry in New Orleans. Dr. Simpson returned to Baton Rouge after dental school, where he spent four years as an associate dentist, before moving to Shreveport to run his own practice in 2013. He is an Invisalign preferred provider and a CEREC provider utilizing 3D CT scan technology and 3D restoration in-office printing. Dr. Simpson has completed the American Academy of Implant Dentistry’s maxi-course at Georgia Health Sciences Center to become proficient in the study, diagnosis, and treatment of replacing missing teeth with dental implants. He has also studied with DOCS (Dental Oral Conscious Sedation), a large organization that provides and promotes parameters and protocols for relaxed treatment. Dr. Simpson is committed to continuing education and takes many advanced courses each year to enhance his skills to serve the dental care needs of his patients better and provide them with a gentle and comfortable dental experience. He is a member of the American Dental Association, the Louisiana Dental Association, the NWDA, and the Academy of General Dentistry. Away from the office, Dr. Simpson, his wife Kathryn, and their two boys are proud to call Shreveport home. They enjoy Louisiana sports, traveling, and of course, Louisiana cuisine. Dr. Andrew Simpson bought South Shreveport Dental from Dr. John Stafford in 2013 and is honored to be the 4th-generation dentist to own the oldest dental practice in Shreveport, LA. 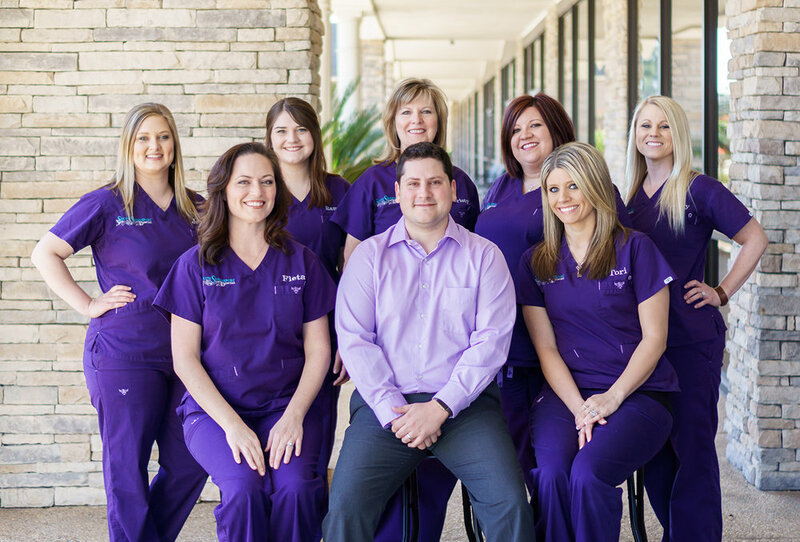 South Shreveport Dental is in a growing area of Shreveport, near Kroger Marketplace and Ashley Ridge. Our address is 9220 Ellerbe Road, Suite 100 in Shreveport, LA. If you have any questions or would like to make an appointment, please call us at (318) 868-0830.